Following four headlining shows at the Sydney Opera House as part of Vivid, Anohni has announced that she will soon embark on an eight day trek through the Western Australian desert in protest against the development of an open cart uranium mine at Kintyre, located on the edge of the Great Sandy Desert. 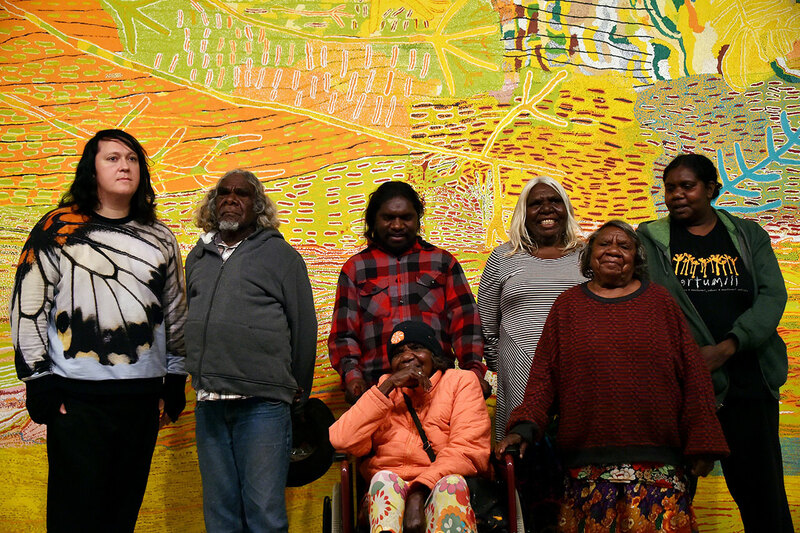 “In 2 days time, I am joining my Martu friends Nola and Curtis Taylor, over 100 other people from Parnngurr and neighboring [sic] communities, and other supporters from around the country on an 8 day, 180 Km protest walk from their remote community to the site of Mitsubishi and Cameco’s proposed open cart uranium mine in the Western Australian Desert. Anohni, whose debut solo album HOPELESSNESS has received near universal critical praise for its powerful excoriation of brutal drone warfare, environmental catastrophe, unrelenting government surveillance, toxic masculinity and capital punishment, spent 10 days living with the Martu people in 2013. She has campaigned against the proposed mine ever since, including making a high profile appearance on ABC’s Q&A last year. Anohni also sung at Sydney’s Museum of Contemporary Arts in protest and donated proceeds from her live performances at Dark Mofo toward the conservation effort. You should read the rest here if you haven’t already and you can read more about the Kintyre conservation effort here. Watch Anohni’s impeccable Drone Bomb Me, directed by Australia’s Nabil Elderkin with creative direction by Riccardo Tisci and starring Naomi Campbell, below.